Discover how to setup your scanner for photo scanning, and make your job go faster and easier. 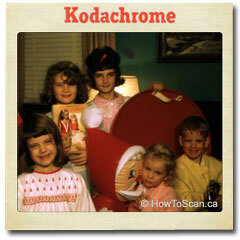 Click link above to start your free photo scanning guide. What's the best resolution to scan 35mm, 70mm, 120, etc? How do you fix slide scans so they look better than the originals? 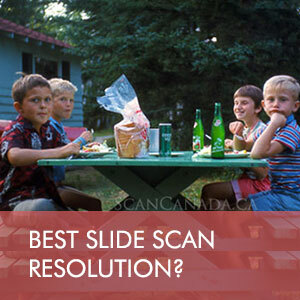 Click link above to start your free slide scanning guide. 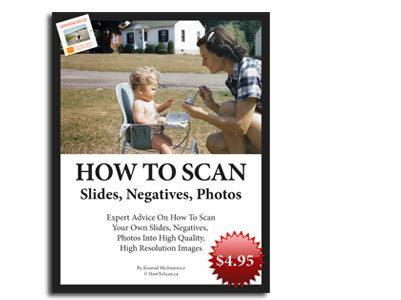 Are your negative scans coming out grainy? How to setup your scanner so your negatives don't get cropped? 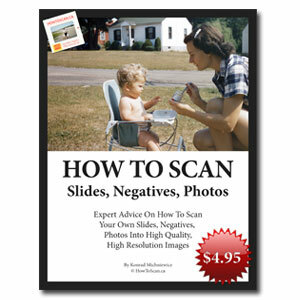 Click link above to get help you finish your negative scans faster. In this ebook, you'll discover insights that your scan manual won't show you. If you implement what you learn, you will improve your workflow, and you'll get step by step instructions on how to edit your scans. Hurry... this ebook is free only for a limited time. 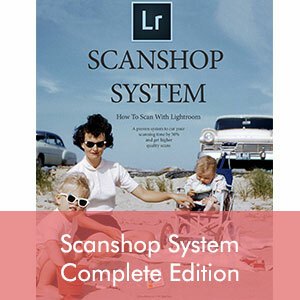 NEW: Video And Ebook Tutorials Using The "Scanshop System"
This is a proven scan system showing you step by step instructions on how to professionally edit your scans using Lightroom, Photoshop, Elements, GIMP, or Corel DRAW. I use this scan system when I edit my client's scans (I charge $2.50 per scan). Get the same quality I do when you use the Scanshop System. 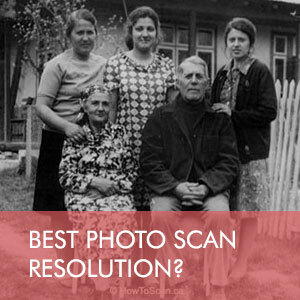 An easy way to understand photo scan resolution. Understand this, and the rest will be easy. Making a photobook? 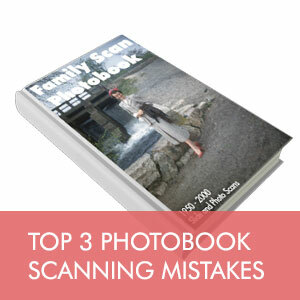 Get 3 simple steps so you don't get low quality scans for your photobook. 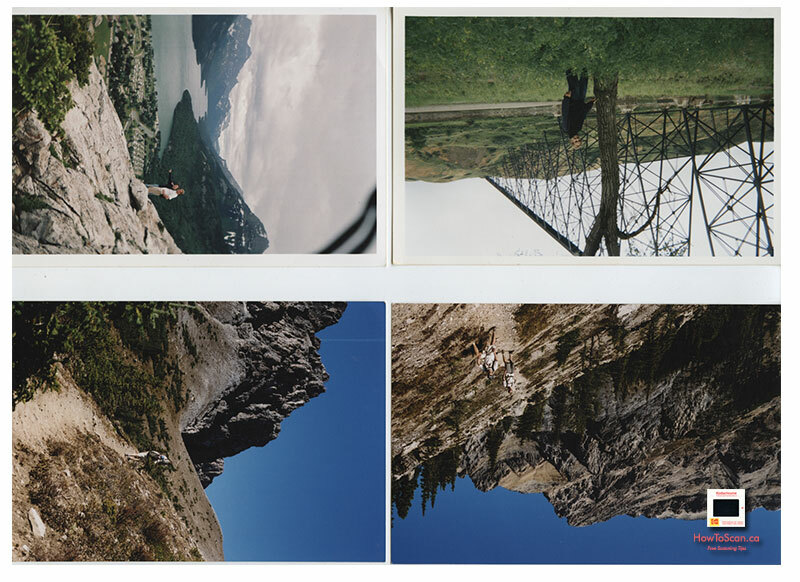 Is Your Scanning Doing ONE Big Photo Scan, And Not Cropping Your Photos? Learn how to crop your photos so your scanner gives you individual scans, and not one big image. 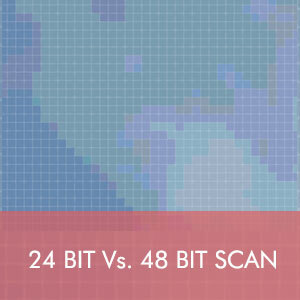 Learn when to scan at 24 bit or 48 bit. And see the difference so you can decide which bit is best for you! 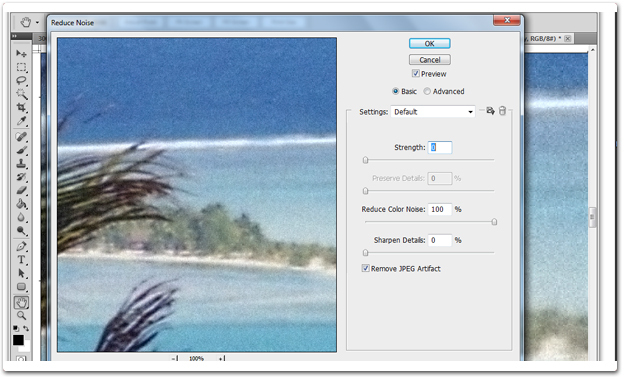 Learn how to fix colour, grain, dust, noise, exposure from a negative scan using GIMP. 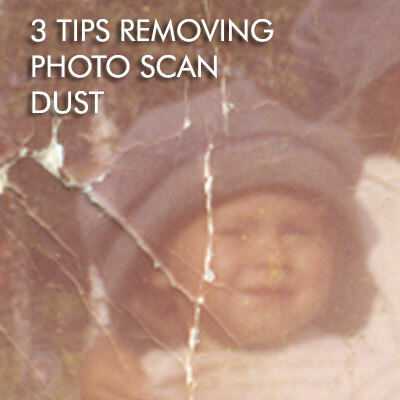 If you're restoring old photo scans, here are how to reduce those dust and scratches to make your project go faster. 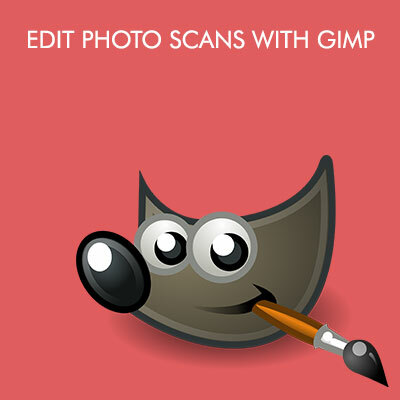 Use free image editing software, GIMP, to fix photo scan colours, dust, and exposure -- Free step by step tips. These tips are for you if your negative scans are coming out with a lot of finger prints, oil stains, dust, yellow or green dots, and minute debris. 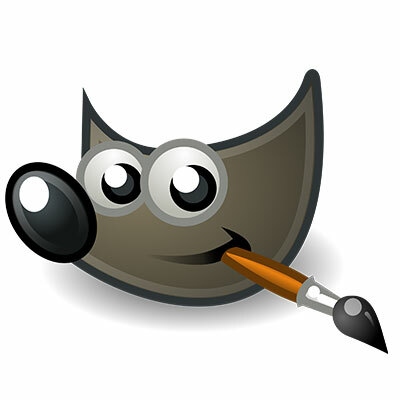 GIMP does exactly what Photoshop can... and it's FREE. 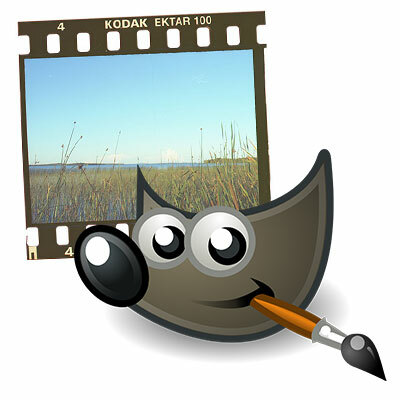 Learn how to use GIMP to fix your slide scans. Not sure what's the best dpi to use when scanning photos? 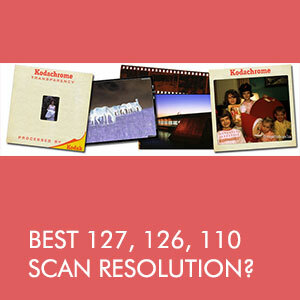 Learn more about photo scan resolution. What if you're slides and negatives are NOT 35mm? 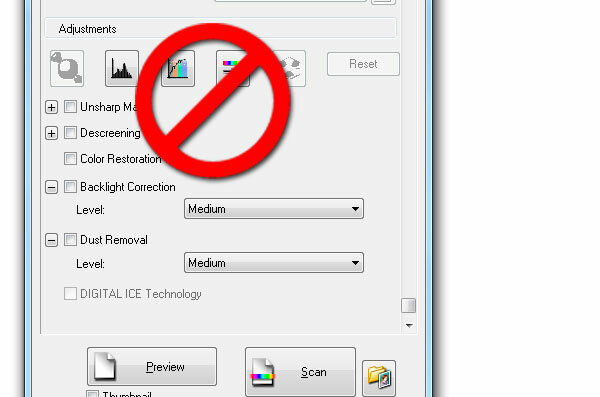 Learn what's the best resolution to scan different size transparencies. Are Your Negatives Getting Cut Into Parts? 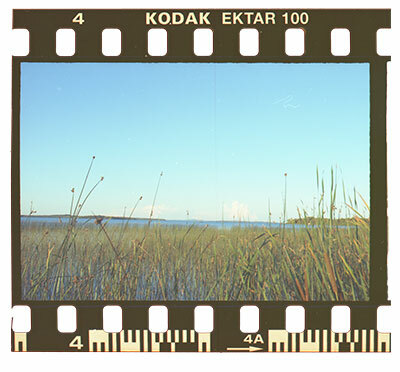 Here's how to make sure your scanner isn't cropping your negative film scans into parts. You'll learn how to use your scanner software, GIMP, and Photoshop to fix red slide scans (with video). You'll learn how to fix grainy negative scans using Photoshop, scan software, GIMP (with video). You don't need an expensive film scanner... your flat bed can also scan slides and negatives. Here's how to setup your flat bed scanner for slides and negatives. What's Better When Saving Your Scans, TIFF or JPEG? 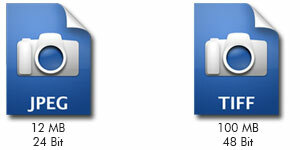 Learn the difference between TIFF scans vs. JPEG scans. And decide which format is best for you. What if you're not scanning just 35mm slides? 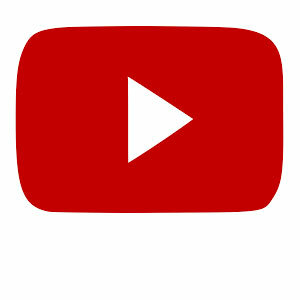 Learn what dpi do you use when you have different sized slides. 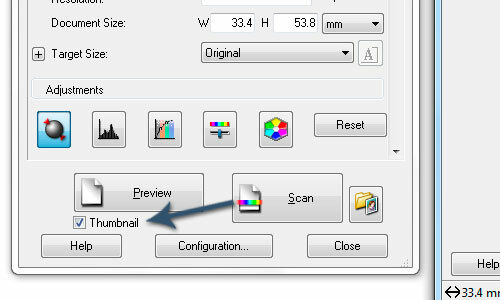 Learn how to setup your scanner's JPEG compression levels so you're not scanning low quality digital images. Your scan software will make irreversible changes to your scans. Here's how to get a natural scan so you can fix your images in Photoshop, GIMP, etc. 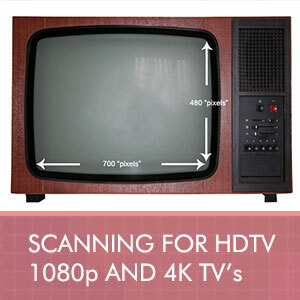 Learn how resolution works so you don't scan your images with the wrong DPI for viewing on your HDTV's. Stuck Scanning? 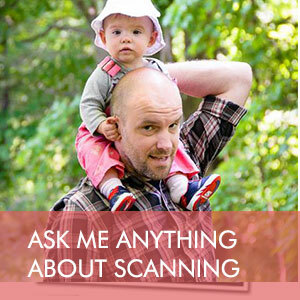 Need Help Right Now With Your Scan Project? I invite you to email me and ask me anything. Your questions help me add content to my site. And you'll get an answer to your scanning challenge so you can finish your project faster! 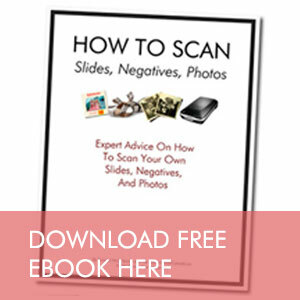 Free Ebooks: "How To Scan Your Own Slides, Negatives, Photos"
Watch these videos to help you with your scan project.